Last weekend Rosalie was invited to a Princess Party. Of course this meant she needed a dress that was fit for royalty. When I saw this fur and chiffon dress in Asda. I knew it would be perfect for my little Princess. Rosalie’s gold shoes are also from Asda as is her cream fur coat. Rosalie’s Cream Tights are from Next. I picked up Rosalie’s Crown headband in the H and M sale for only £2. It makes a wonderful finishing touch don’t you think? 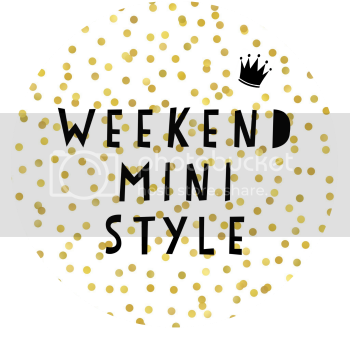 If only she would keep it on her head!I’m linking up with the weekend mini style and trendy tot thursday.